It’s challenging to diagnose Alzheimer’s cases early and accurately, but scientists are hoping AI can be applied to brain scans to help. As many as one in five people age 65 or older experience “mild cognitive impairment” — a condition marked by a slight decline in memory, language, or thought. Affected individuals may be prone to forgetting appointments or losing the thread of conversations. They also have a higher-than-average risk of developing the more pronounced cognitive decline of Alzheimer’s disease. Yet for the majority of people, symptoms do not progress. In fact, in some instances, the symptoms can be temporary or reversible. This presents a challenge for diagnosing Alzheimer’s disease early, when those affected have the best chance of benefiting from the limited number of interventions and drug treatments. Currently, diagnosis requires extensive evaluation, including patient and family history, physical examination, a battery of laboratory and neuropsychological tests, and neuroimaging by MRI, CT, or PET scan. This can take months, and even then, it’s impossible to deliver a definitive diagnosis. That can only occur after death, when a pathologist looks through a microscope to see how the disease ravages the brain’s architecture, causing tissue to degrade and shrink. The brains of people with Alzheimer’s disease have fewer nerve cells, as well as clusters of a toxic protein fragment, called amyloid beta. In the face of these challenges, a growing body of research seeks to develop technology to diagnose cases earlier and more precisely, particularly among older people who are experiencing some cognitive decline. 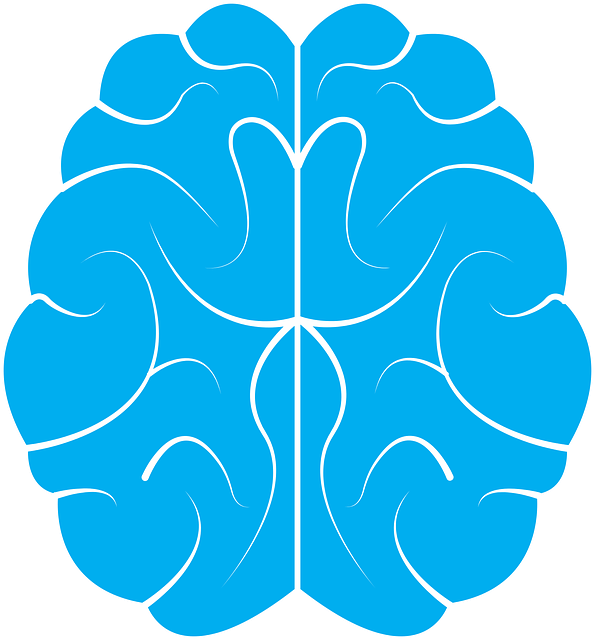 This past September, for example, a Canadian team published a paper describing how they trained a machine learning algorithm to predict the early stages of Alzheimer’s based on neuroimaging and other data. Researchers believe that neural degeneration begins many years — perhaps even decades — before a person experiences the first outward symptoms. The early degradation in the brain is too subtle for most specialists to recognize, but a trained algorithm can recognize or predict these losses within seconds. The Canadian team developed its algorithm from popular facial recognition software. The researchers used a machine learning approach — a type of pattern recognition — to train the algorithm to recognize the onset of mild cognitive impairment and Alzheimer’s. “When Facebook asks, ‘Do you know this person?’ they’re looking for the similarities or differences between that one picture and all the pictures that you have tagged, and others have, of that person on Facebook,” says the study’s co-lead author, Mallar Chakravarty, a computational neuroscientist and director of the Computational Brain Anatomy Laboratory at Douglas Mental Health University Institute in Montreal. Chakravarty’s colleagues on the paper included researchers at the University of Toronto and the Center for Addiction and Mental Health, also based in Toronto. By comparison, his team’s algorithm was trained and tested on a data set of approximately 1,200 people older than 65 years. These included healthy controls, as well as people with mild cognitive impairment and Alzheimer’s. The findings were replicated on a smaller, independent sample. The algorithm achieved up to 97 percent accuracy in predicting which cases would progress to Alzheimer’s within five to six years. Chakravarty called that “no small feat,” though he added that many more data sets are needed before artificial intelligence can be used to predict cognitive decline in actual patients. In addition to the MRI data, which measured the thickness of the brain’s cortex, or outer layer, the Canadian research team incorporated clinical and genetic data into their algorithm. This included scores from two tests of cognition, as well as levels of a protein coded from the APOE4 gene, which is closely associated with the onset of Alzheimer’s. The data used to generate predictions were collected from two time points within one year of each other. This is just one of several efforts to train AI to predict the early progression of Alzheimer’s and dementia based on brain imaging data. Like Chakravarty’s study, most of these projects have focused on training algorithms to recognize patterns in structural imaging, which can illustrate the degradation of brain tissue. In the summer of 2016, for example, a research team based in the Netherlands successfully trained algorithms to distinguish between Alzheimer’s and the early stages of two other types of dementia in MRI scans. Another approach trains algorithms to analyze PET scans of the brain to detect functional irregularities that often occur before the brain architecture degrades. Positron emission tomography creates three dimensional images of the body’s metabolic processes. In 2017, a research team based at McGill trained AI to predict the early stages of Alzheimer’s based on PET scans that detected the amyloid protein. PET scans are expensive, though, and use trace amounts of a radioactive substance to illustrate metabolic activity. “The goal is to take the state-of-the-art computational methods used in artificial intelligence in companies like Facebook and Google, and orient them toward health care and biomedical questions,” says Chakravarty. If new technology can accurately predict outcomes five or six years into the future, then affected individuals will be more likely to benefit from current treatments. Many of these investigations, including Chakravarty’s, are using data from the Alzheimer’s Disease Neuroimaging Initiative. ADNI is the world’s largest open research study around Alzheimer’s. The public-private initiative tracks the neural progression of more than 1,800 people over 55 years old, collecting data from MRI and PET imaging, blood tests, tests of cerebrospinal fluids, cognitive and clinical tests, and much more. The project began in 2004 as one of the first open source databases for researchers. Since then, its data has been used for more than 1,000 scientific papers. “How artificial intelligence is going to work with this is all very exciting. There is a lot of new technology, hype, and promise,” says Michael Weiner, ADNI’s principal investigator and a professor at the University of California, San Francisco. Weiner was not involved in the recent Canadian study. “It’s just a little early to tell because it depends on whether or not we are missing something by just looking at the data in our brains,” he explains. There is growing research, for example, on the “gut-brain axis.” Research suggests that bacteria in the gastrointestinal tract can overstimulate biochemical feedback to the central nervous system and lead to neural damage. Some researchers believe this could also be a factor in Alzheimer’s. Chakravarty believes his research team’s approach is more sensitive than previous attempts because it is multimodal, using different types of data — not just magnetic resonance imagery. “We found that you can get a very nuanced prognosis compared to other methods,” he says. The multimodal methodology of Chakravarty’s team is interesting, says Rong Xu, an associate professor at Case Western Reserve University’s School of Medicine. “It’s an example of using and modifying existing data and methods to answer some very important biomedical and clinical questions,” says Xu, who specializes in biomedical informatics and big data, and was not involved in the Canadian study. Christian Salvatore, a physicist who researches AI and medical imaging at the Institute of Molecular Bioimaging and Physiology of the Italian National Research Council in Rome, also appreciates the Canadian team’s methodology. Still, he points to a fundamental limitation of the work and of Alzheimer’s research more broadly: “The most critical problem in this field,” he says, is that it doesn’t identify people at risk in the very early stages of the disease. “Identifying patients with AD as early as possible could indeed be crucial for the administration of disease-modifying treatments,” he says. But Salvatore believes that future efforts should be focused on predicting Alzheimer’s before major outward symptoms occur. In this sense, the technology has the potential to exacerbate health care inequalities which, at least in the United States, are closely associated with racial and socioeconomic disparities, says Ellis. African-Americans aged 65 and older are twice as likely to experience Alzheimer’s. Some research suggests a lifetime of stressful experiences, health disparities, and environmental factors impact cognition. Mallar Chakravarty and ADNI’s Michael Weiner acknowledge the cost of MRI would likely prevent generalized or widescale uptake of these types of predictive technologies in the United States. The next step in this research, Chakravarty says, is testing the algorithm by predicting the cognitive status of an individual before they come in for an evaluation. The researchers have an independent data set of about 280 people collected over the last two to three years. Their goal is to begin validating the algorithm in real time, to predict who is likely to experience cognitive decline and who is not, and, call everyone back for an evaluation. That would be the real test, says Chakravarty, to determine “does work like this even permeate” beyond data sets and into the real world. Rod McCullom is a science journalist in Chicago. His work has been published by Undark, ABC News, The Atlantic, The Nation, Scientific American, and Nature, among other publications. Luego de los límites de la capacidad, ¿qué nos queda?